Geoengineering refers to large-scale schemes for intervention in the earth’s oceans, soils and atmosphere with the aim of reducing the effects of climate change, usually temporarily. A typical geotechnical engineering project begins with a review of project needs to define the required material properties. Investigations can include the assessment of the risk to humans, property and the environment from natural hazards such as earthquakes, landslides, sinkholes, soil liquefaction, debris flows and rockfalls. A Geotechnical earthquake expert from the Center of Tropical Geoengineering, Universiti Teknologi Malaysia (UTM) or Geotropik, Prof. Ir. 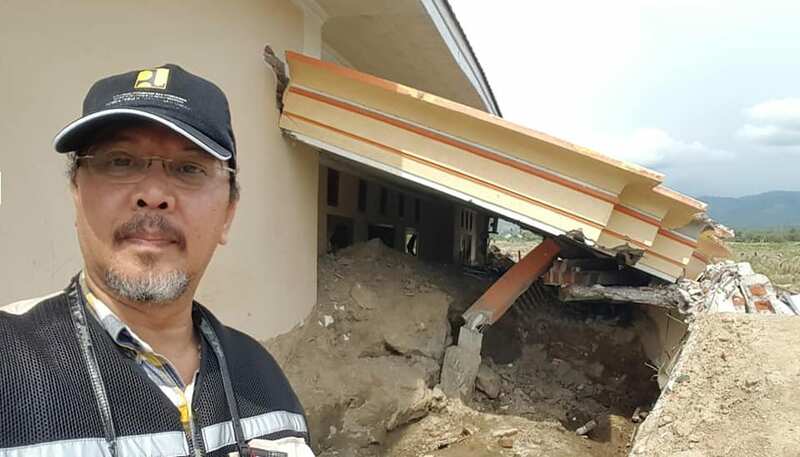 Dr. Ramli Nazir was invited to visit Palu, Indonesia by the National Center for Earthquake Studies (PusGeN) Indonesia to conduct a study on the impact of earthquake as an International Geotechnical expert. While doing his research on the Geotechnical impact on the earthquake, he witnessed many property damages and loss of human life as a result of the community being unprepared to face disasters. The Palu District in the Sumatra Islands was hit by the shallow earthquake and tsunami on the eve of September 28, 2018. 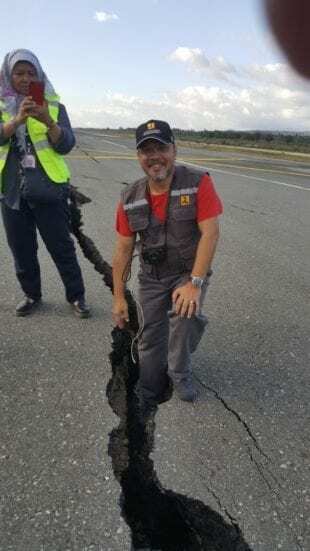 The epicentre was located 77 km away from the the capital city of Palu and the earthquake was reportedly felt as far away as Samarinda on East Kalimantan and also in Tawau, Malaysia. Prof. Ir. Dr. Ramli Nazir has been actively involved in Forensic Geotechnical Engineering and has been a Geotechnical Specialist Advisor to several government agencies such as Petronas Dagangan Bhd. , Shell Trading(M) Bhd. , Geotechnical Specialist Unit to Public Work Department of Malaysia and other private agencies. He was also one of the Geotechnic Technical Committee members for Eurocode 7 Malaysia Annex. Apart from being involved in Geotechnical Area, Prof. Ramli has also been involved in many Civil Forensic works including Structural and Infrastructures. Prof. Ir. Dr. Ramli Nazir is a Professor in Geotechnical Engineering at Geotechnical and Transportation Department, UTM since 1989. He has more than 30 years’ experience in the field of Geotechnical Engineering, specifically in Foundations, Ground Improvement and Geotechnical Forensics Engineering. He has published more than 100 technical papers and Journals related to his field of expertise. In addition, as a Lecturer in Geotechnical Engineering, he is also a Professional Engineer who has numerous experiences as a Design Engineer, Design Checker and Geotechnical Technical Advisor to various government and private agencies which are also involved in many Civil Forensic works including Structural and Infrastructures in Malaysia. Prof. Ir. Dr. Ramli Nazir visited Palu, Indonesia to study on the impact of earthquake as an International Geotechnical expert.